A CRASH in the final 3km of Irish Road Club’s Gorey Three Day ruined Club Champ John McGettigan’s hopes of a high GC placing. 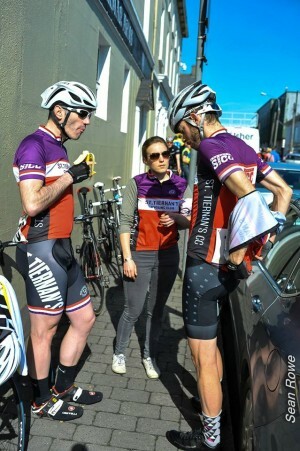 McGettigan had stormed up to within the top 25 after finishing in the bunch on Saturday’s run to Craanford and knocking out an 8’19” time-trial on Sunday morning. 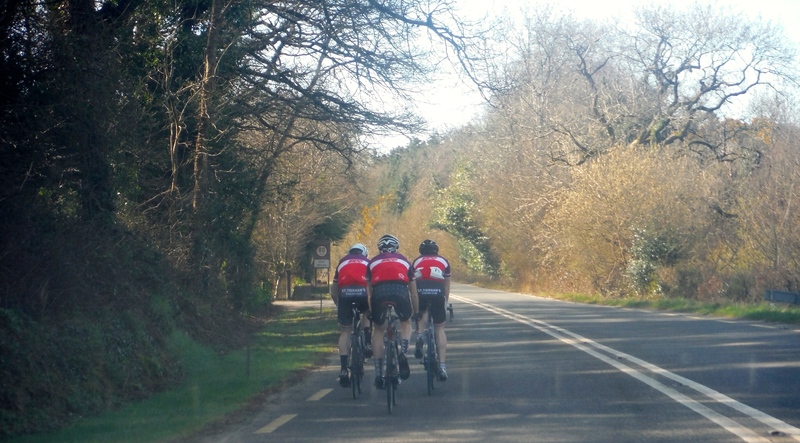 Holding strong in the bunch again on Sunday meant he kept his position and he – along with team mates Barry Walsh and James Quinn – was getting ready for the sprint to the Quarry outside Blessington when a pile up hit. Quinn and McGettigan came down in it and Quinn was able to remount, but the damage to McGettigan’s bike was too severe [thanks to Lucan CC for taking it to the finish]. Directeur Sportif Jessica Lamb, making her first appearance in the role, was impressed with the team’s performance, albeit disappointed by the unfair ending. 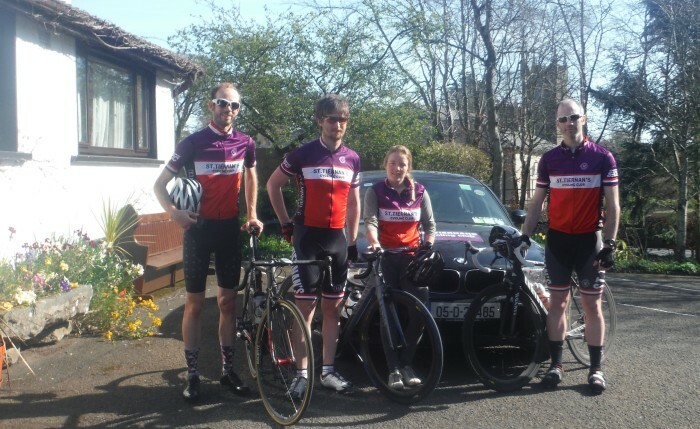 “The lads rode solidly all weekend in a very tough race,” she said. “The ending was not a true reflection of their rides. She added: “Big shout out to too Gloria and Allen Proby, our brilliant hosts at Riverfield Farmhouse. We were fed day and night and waited on like house guests – and for peanuts.” Chapeau. The next big stage race for the jersey will be Ras Dhun na nGall in June. Stay tuned. No Replies to "Late crash ends McGettigan GC hopes at Gorey"